Loss of vision is one of the signs of aging. As we age, the lens in our eyes harden. It is called presbyopia. There is little you can do about this problem. It becomes difficult to focus on objects up close. Reading glasses will come to the rescue. But by eating right you will also lessen the impact of aging eyes. It is important to eat foods that will help stave off age-related eye problems such as macular degeneration and cataracts. 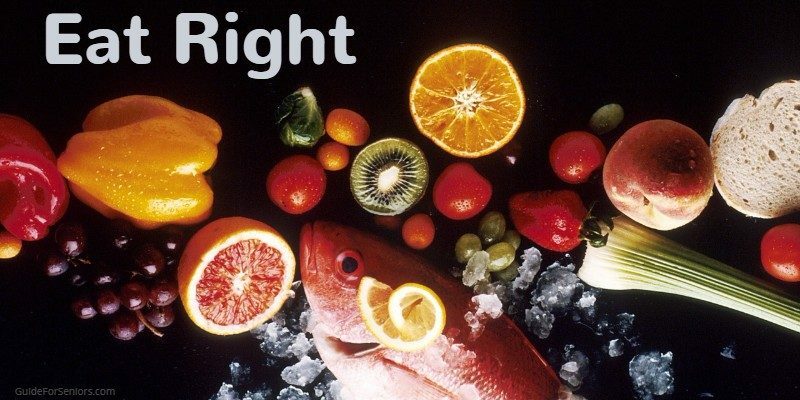 Eat right and include healthy vegetables that contain important nutrients for your eye health. Omega-3 fatty acids, lutein, zinc, vitamin C and vitamin E will help to ward off age-related problems. Not only will eating the right foods help our possible eye problems, but they are an important part of our fight for anti-aging. Eating healthy foods leads to a healthy life. Carrots are high in vitamin A. Vitamin A is important for our vision. It also helps with our immune system as well as to help our organs including our heart, lungs, and kidneys work properly. Vitamin A deficiency will cause blindness in children. In adults a vitamin A deficiency can lead to xerophthalmia, a progressive eye disease. Vitamin A deficiency is very rare in the United States but it never hurts to eat your carrots. Better known as the perfect food. 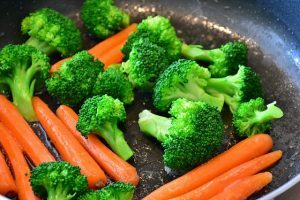 It contains vitamin K, vitamin C, folate, potassium, fiber, and vitamin C. Broccoli helps with eye health and just overall good health. President Bush did not know what he was missing out on. He preferred to let Barbara eat all of the broccoli. Oranges, and citrus, in general, are an excellent source of vitamin C. Vitamin C is important for healthy blood vessels, including those around the eyes. Since oranges also contain calcium you are doing your bones a favor when consuming an orange or orange juice. 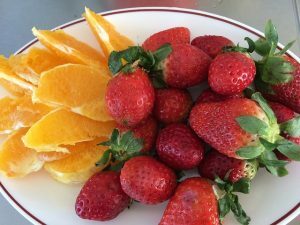 Strawberries also contain Vitamin C. They are rich in folate as well as fiber and antioxidants. All of this will protect you from age-related diseases. Remember the color diet. All of the above, as well as sweet potatoes, fit the bill. Vitamin A, Beta-carotene, potassium, and fiber are all so good for your eye health. I think they are better than white potatoes. And the sweet potato fries are so delicious. It is no wonder they are so good for you. Calcium helps our bones stay strong. Potassium is crucial. It is necessary for the heart, kidneys, and other organs to work normally. Magnesium helps with enzyme reactions in our body. Without it, we would find it much more difficult to break down the nutrients in foods that our body needs. It helps with the syntheses of fatty acids and proteins necessary for life. Vitamin A is important for our vision. It also helps the immune system as well aiding in the workings of many organs including the heart, lungs, and kidneys. Vitamin K aids in the clotting of our blood. It will help speed up skin healing and reduce bruising and swelling. Folate is important is the manufacture of our DNA and as an aid for our cells to divide. All of these important nutrients will help your vision and are part of anti-aging activities. Without the proper building blocks your body needs, you can not be healthy. Eating healthy foods lead to an improved vision which leads to a fitter life. Eat right for a healthy life. Just what everyone needs and wants. Read more on Guide For Seniors about health and healthy habits for seniors.